Discussions are underway with a view to rearranging the top races on tomorrow’s star-studded card. 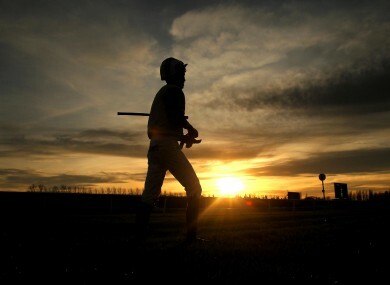 Racing at Newbury (file photo). TOMORROW’S “BETFAIR SUPER SATURDAY” card at Newbury has fallen foul of the weather after four centimetres of snow fell on the Berkshire course overnight. Course officials took the decision to abandon the meeting this morning, throwing pre-Cheltenham preparations into disarray for a number of the festival’s top contenders. Gold Cup champion Long Run was one of ten runners declared for the inaugural Denman Chase tomorrow, while Sprinter Sacre and Zarkandar were also expected to feature on the eight-race card. Preliminary discussions with a view to rearranging the card’s major races have already taken place, course clerk Richard Osgood said this morning (Press Association). “We’ve had to abandon. There’s snow on the covers and there is no predicted rise in temperatures or rain which would help shift it. Email “Newbury's 'Super Saturday' abandoned due to snow”. Feedback on “Newbury's 'Super Saturday' abandoned due to snow”.